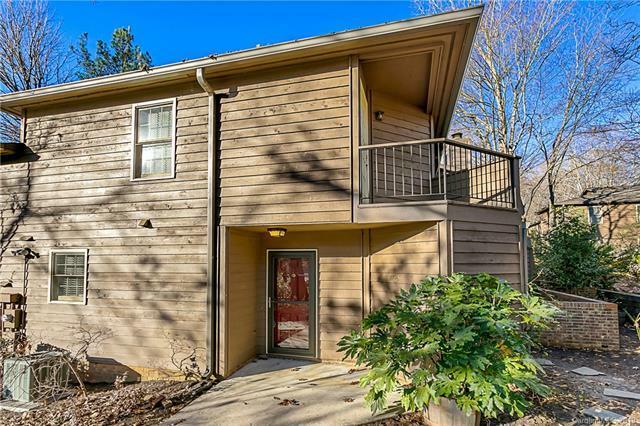 3725 Colony Crossing Drive, Charlotte, NC 28226 (#3465301) :: Caulder Realty and Land Co.
Caulder Realty & Land Co.
Great first floor corner unit condo in South Park. Less than 5 minutes from South Park mall, Whole Foods, great restaurants, and much more. Laminate floors in the main living area and tile floors in the kitchen and baths. Great open floor plan with great features including granite countertops in the kitchen and bathrooms. Updated lighting and ceiling fans in all bedrooms. Master bedroom features walk-in closet with built-ins and great balcony. Spacious storage closet under the stairs and exterior storage closet off the larger patio. Water and sewer bill included in HOA dues. Offered by Keller Williams South Park. Copyright 2019 Carolina Multiple Listing Services. All rights reserved. The data relating to real estate on this Web site derive in part from the Carolina Multiple Listing Services, Inc. IDX program. Brokers make an effort to deliver accurate information, but buyers should independently verify any information on which they will rely in a transaction. All properties are subject to prior sale, change or withdrawal. Neither Caulder Realty & Land Co. nor any listing broker shall be responsible for any typographical errors, misinformation, or misprints, and they shall be held totally harmless from any damages arising from reliance upon this data. This data is provided exclusively for consumers' personal, non-commercial use and may not be used for any purpose other than to identify prospective properties they may be interested in purchasing. © 2019 Carolina Multiple Listing Services, Inc. Data last updated 2019-04-21T20:58:33.24. Caulder Realty and Land Co. is Lake Lure's most innovative real estate team.